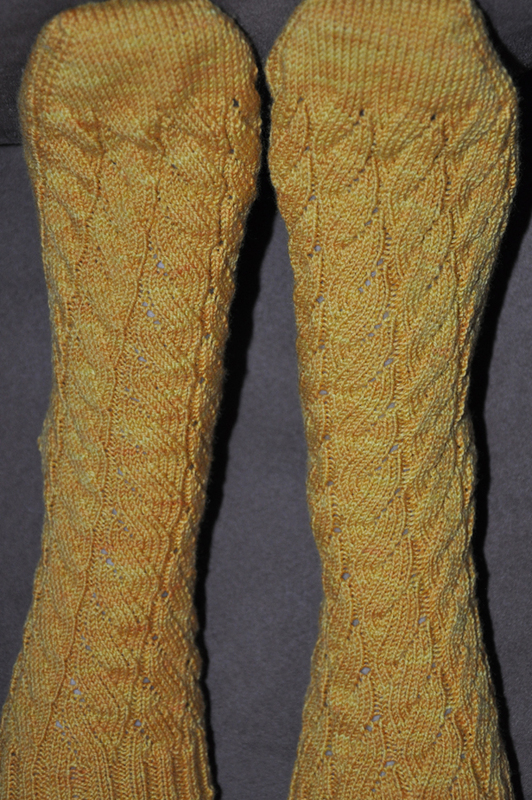 I am happy to say that my yellow socks for the September 2009 Sock Knitters Anonymous Sockdown Challenge are complete. 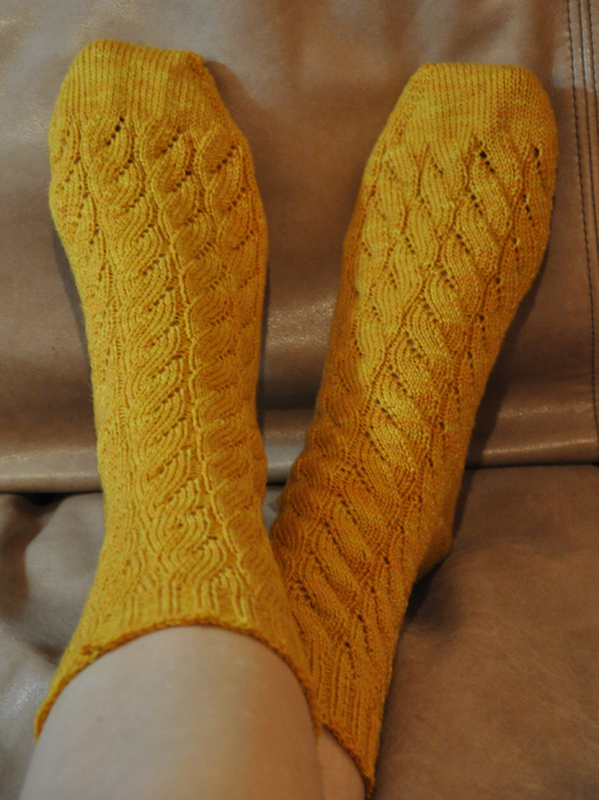 It took me 27 days to complete this pair of socks, which I worked on in between school work, at resturants, Auburn football games, etc… They actually fit. One of my goals for doing these challenges this year is to figure out what tweaks I need to make to sock patterns to make them fit my feet. The only way I can figure this out is to make them and wear them. So, here is the first completed pair. These socks were generally fun to do. The pattern was easy to memorize and went fast. I decided to reverse the waves on the second sock so they would lean the opposite way. The notes on how I did this can be found here. Short row heels with the w&t are not my thing, so I substituted a short row technique I found here to turn the heel. It worked great! Wonderful that you have them fitting perfectly, too! I love them!!! You did a great job…but then again you always do! I used Judy’s Magic Cast-on method. You can find it here. Enjoy! thank you soo much i already have the first sock started and its going great 🙂 i can’t wait to see how it looks and fits when im done. im using cascade heritage sock in a dark mocha brown.